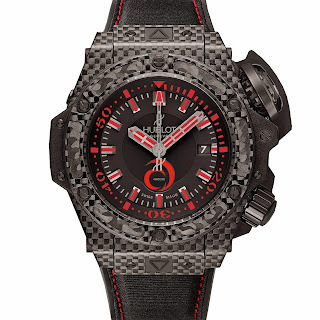 By TLex Carbon cased divers seem to be a bit of an acquired taste for some. Personally I've always found them a little busy looking, but since trying the Oceanographic 4000 Carbon, I have a new found appreciation for them. 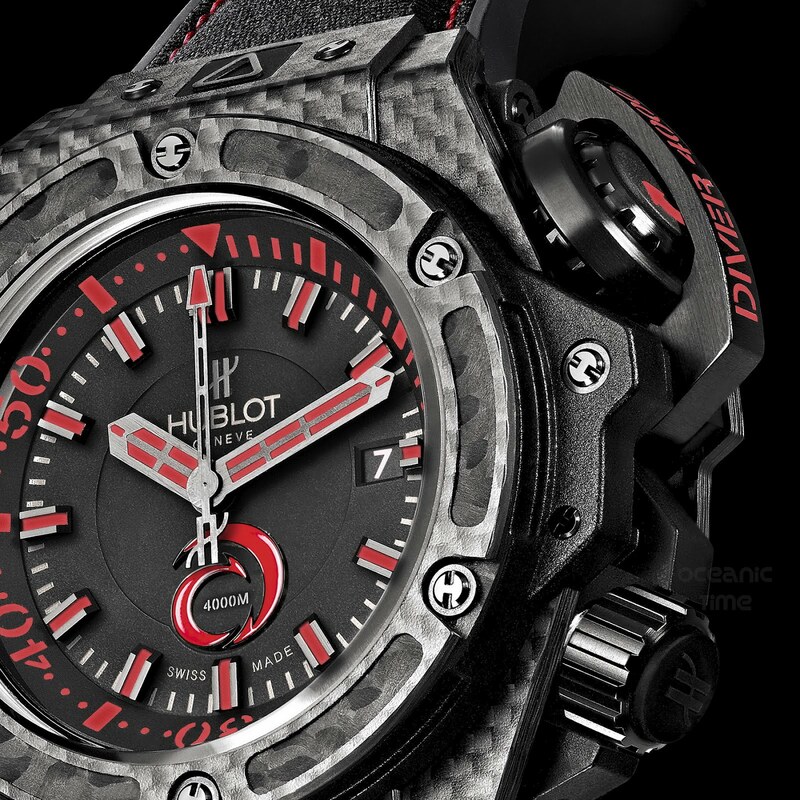 Not only are the extremely light and comfortable on the wrist but they are also incredibly tough. 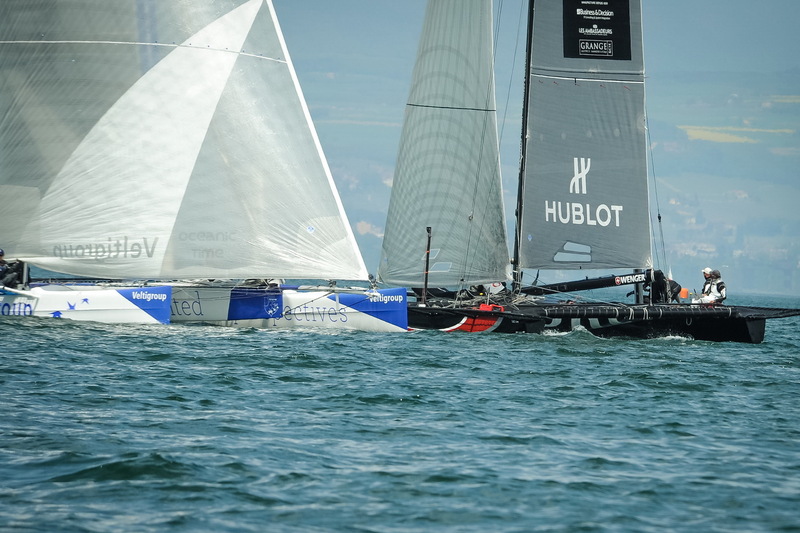 A great choice then for team Alinghi, who have once again partnered with HUBLOT and will be equipped with HUBLOT King Power Alinghi 4000 watches. 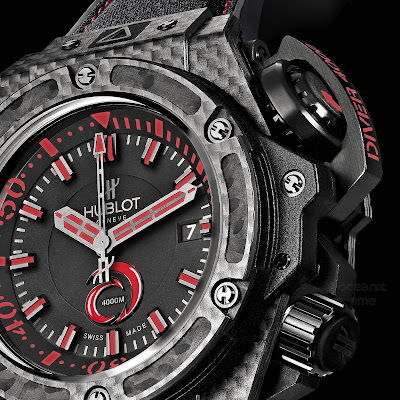 These are based upon the Oceanographic 4000 Carbon, so the watch has all the same attributes such as: a 48mm carbon fiber case with a water-resistance of 4000 meters and HUBLOT's innovative inner rotating divers bezel and locking system. The watch has also been given a few sporty touches to reflect the new partnership, such as the Alinghi team logo on the dial and the engraved 'DIVER 4000' text on the bezel locking arm, which is now in red. 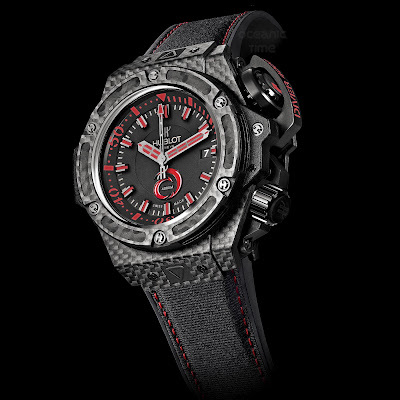 Seen above it is presented on a Nomex strap with contrasting red stitching. 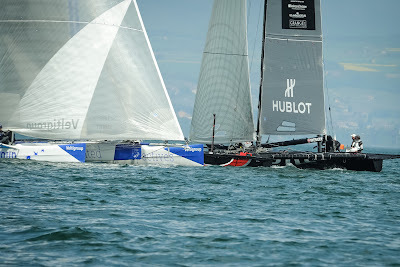 Hublot have always been close to the world of sailing and the sea, through their very name, which means 'porthole' in French, but also through prestigious partnerships such as with Yacht Club Monaco, the Monaco Oceanographic Museum and its Institute, or the Real Club Nautico de Palma with the Copa Del Rey. CLICK to see the new Oceanographic 1000, the Oceanographic All Black BLUE, the Oceanographic 4000 for Only Watch 2011, the Oceanographic 4000 CARBON and the Oceanographic 4000 . . .